Chicago (Web Desk): Boeing said on Thursday that it will introduce a hybrid electric plane for delivery in 2022. Zunum Aero, a Seattle startup that counts both Boeing and air carrier JetBlue as investors, released details about an aircraft that could carry 12 passengers up to 700 miles. 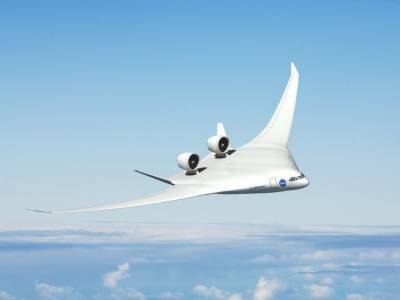 The plane aims to address a gap in regional travel of up to 1,000 miles, a segment for which there are few options, high costs and “door-to-door travel times haven't improved in decades”, Zunum Aero said in a news release. The technology could let planes skip big regional airports such as Washington and Boston and instead travel from Beverly, Massachusetts to College Park, Maryland at a lower fare. “We believe that the regional transportation industry is ripe for disruption and we're excited to support Zunum and its efforts to help introduce a new era of aviation,” said Bonny Simi, president of JetBlue Technology Ventures. Maximum cruise speed on the vehicle will be 340 miles per hour and it will emit 80 per cent fewer emissions and noise, the company said. The company expects to begin test flights in 2019.